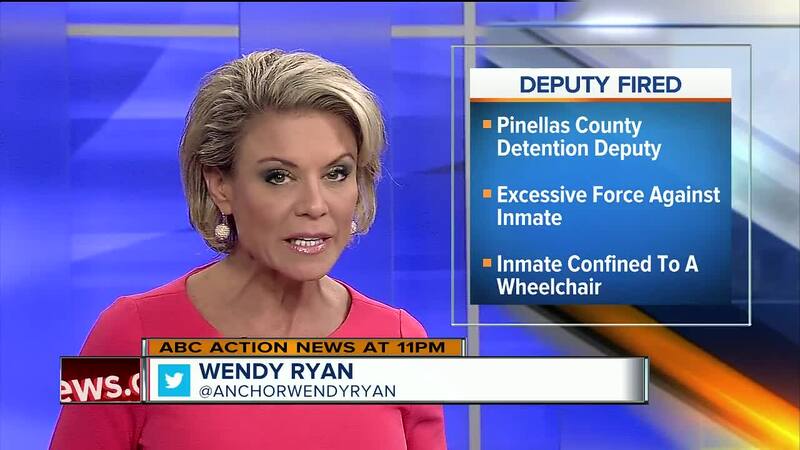 A Pinellas County Detention Deputy has been fired for excessive use of force on an inmate in a wheelchair, the Sheriff's Office says. 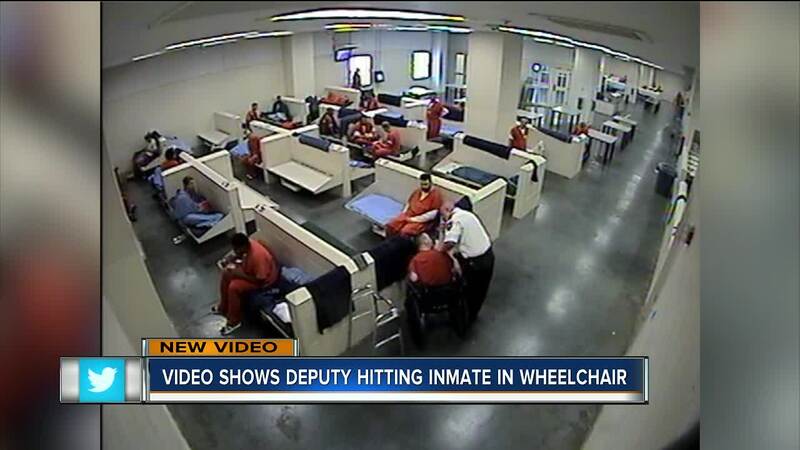 PINELLAS COUNTY, Fla. — A Pinellas County Detention Deputy has been fired for excessive use of force on an inmate in a wheelchair, the Sheriff's Office says. The incident involved deputy Aaron Hull, 46, and an inmate who has since been released. It happened on Sept. 24, 2018 at the Pinellas County Jail in Clearwater. According to the administrative investigation division, that day Hull was supervising an inmate housing unit at the jail. He was verbally counseling a group of inmates who were creating a disturbance while the unit was in lockdown. Investigators say the inmate, who is confined to a wheelchair, verbally challenged Hull and the other inmates. Hull told him to stop his behavior but the inmate reportedly refused. Hull aggressively kicked his own chair, then approached the inmate and placed his left hand on the back of the inmate's neck and started talking to him. Surveillance video showed Hull poking the inmate multiple times in the head while maintaining the grip on his neck, thus provoking and escalating the inmate's behavior. Hull then grabbed the inmate's shirt and the inmate spit at him. Hull reacted by hitting the inmate three times and tried to call for assistance and move the inmate in the wheelchair. While he was moving him, the inmate tried to hit Deputy Hull with his elbows, fist and head. Neither Hull nor the inmate were injured. During the course of the investigation, Hull admitted he reacted inappropriately and said poking the inmate in the head was inappropriate contact. Investigators say Hull was disciplined in 2015 for similar behavior in a similar situation. In that incident he flipped over a table as he made his way towards an inmate. The review board determined Hull violated the sheriff's office policy and he was terminated Thursday.